Candy Cane Buttercream Frosting is a simple recipe for a rich and creamy peppermint icing that is sure to be a holiday favorite... on Christmas cookies, on cake... Well, on everything including a spoon!!! 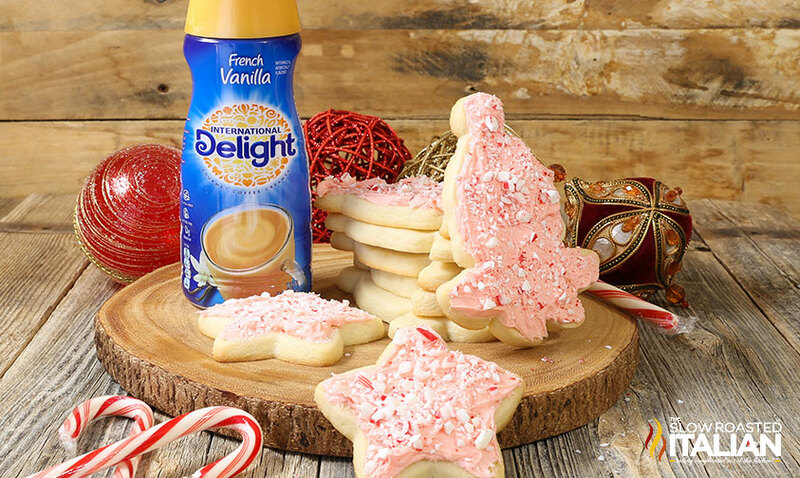 We are so excited to be partnering with International Delight® to bring you another fabulous dessert recipe. I don't know about you, but I love my coffee so I always have creamer in the house. I have found it to be an amazing convenient ingredient in cooking and baking sweets. Don't you just love those multitasking ingredients? 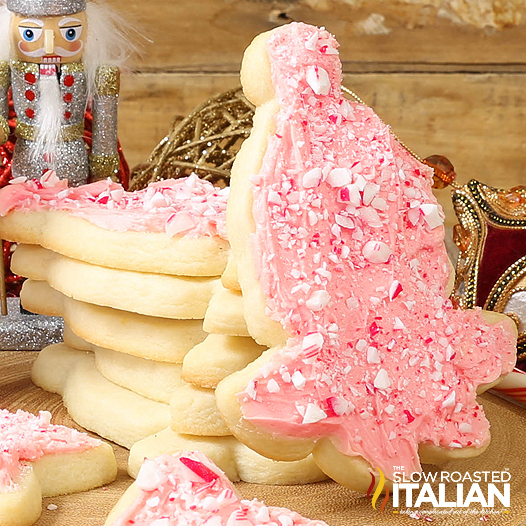 One of our favorite things to do during the Christmas season is make cookies. 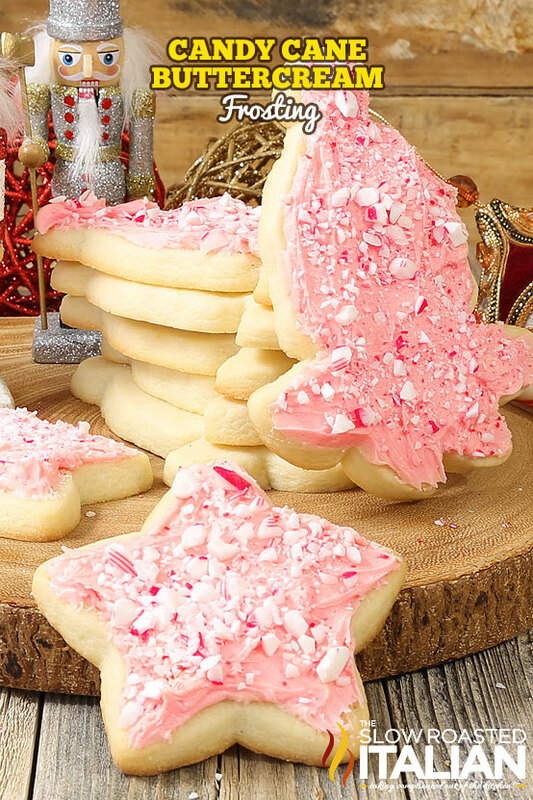 As much as we love and adore our Best Ever Sugar Cookies with our Best Ever Sugar Cookie Icing but this year I have been crazy about peppermint so we decided to switch things up. 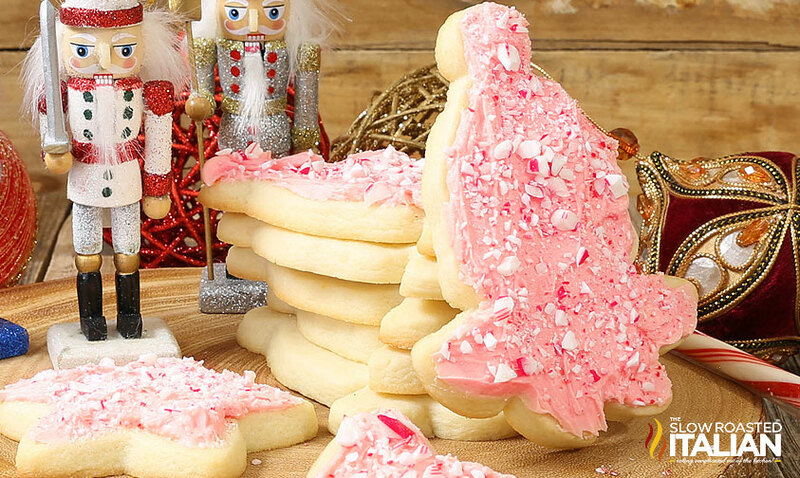 We absolutely love love love rich and creamy buttercream icing on cookies and this recipe is absolutely perfect for Christmas cookies or for holiday parties! wether you make it as a 2 layer cake or as cupcakes this frosting will make it a holiday spectacular! By now, you know how much we love their coffee creamers and have for some time (check out our 60+ International Delight recipes). In a standing mixer fitted with the whisk attachment (or in a large bowl using an electric mixer), cream the butter for 1 minute. Scrape down the sides of the bowl if necessary. Turn the mixer to low and add powdered sugar one cup at a time. Mix until well blended. Add creamer, extract and a pinch of salt if desired (I add it to take the edge off of the sweetness) and continue to beat on medium speed for 1 minute more, adding more creamer as needed until desired consistency is reached. Add red food coloring (I use gel so it does not thin out the frosting, but if you must use liquid that is fine, just add additional powdered sugar as necessary to thicken it back up). Enjoy on your favorite dessert, or with a spoon! We especially love it on our Best Ever Sugar Cookies and Easy Chocolate Cake. DONNA'S NOTES: This recipe will frost a 9x13 inch cake or 24 cupcakes (12 with a stacked swirl).